The Pope spoke these words during his homily at morning Mass, celebrated in the chapel of the Santa Marta residence, where he lives. 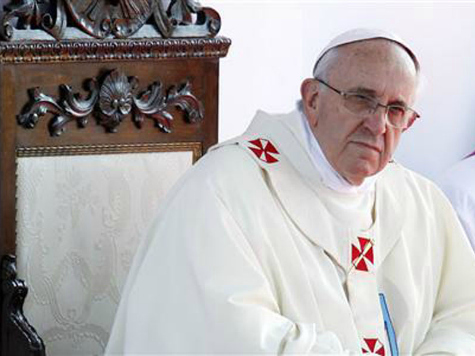 Earlier this week, the Pope praised the work of exorcists, priests dedicated to the work of deliverance and casting out demons. In his homily this morning, the Pope said that without faith, there is no going forward. “We need this shield of faith” because “the devil doesn’t throw flowers at us” but “flaming arrows” to kill us. “Life is warfare. The Christian life is combat, a beautiful combat because when God wins in every step of our lives, it fills us with joy and a great happiness,” Francis said.